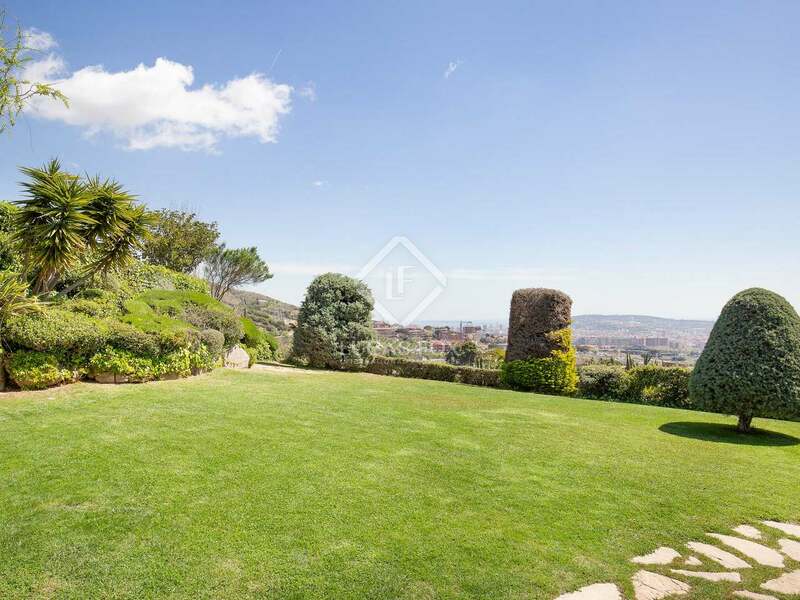 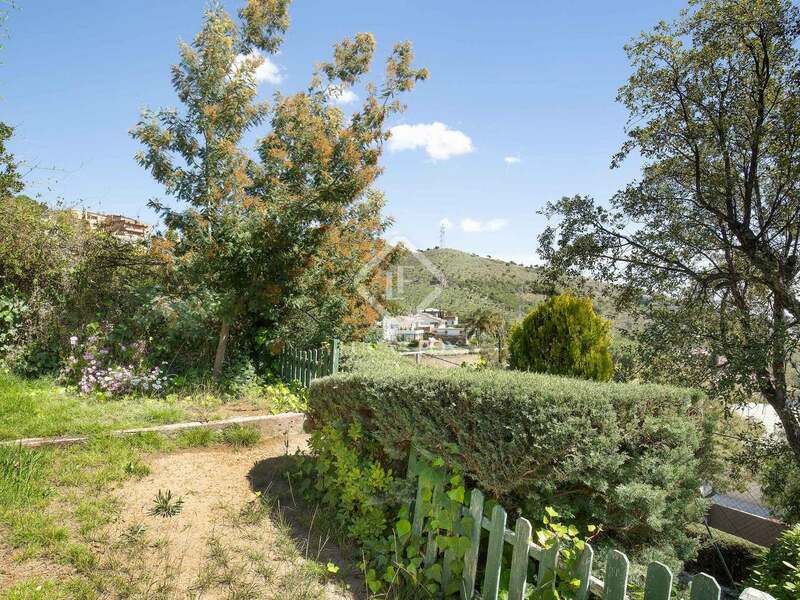 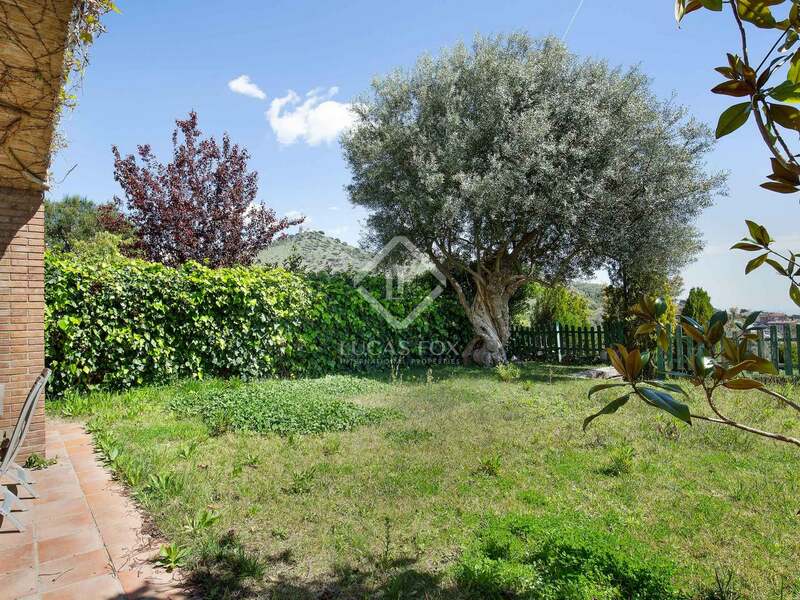 Beautiful semi-detached family home with a garden and lovely green views, located in a peaceful, upmarket residential community with 24-hour security in Esplugues. 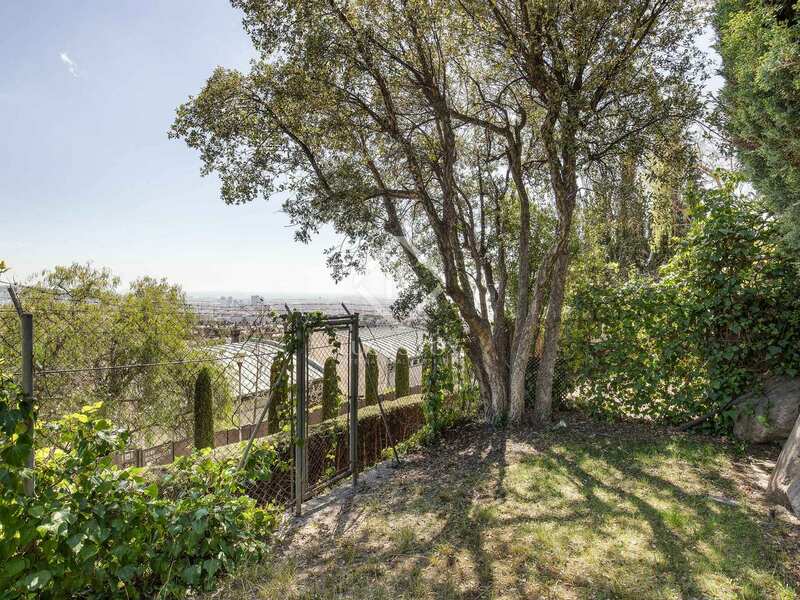 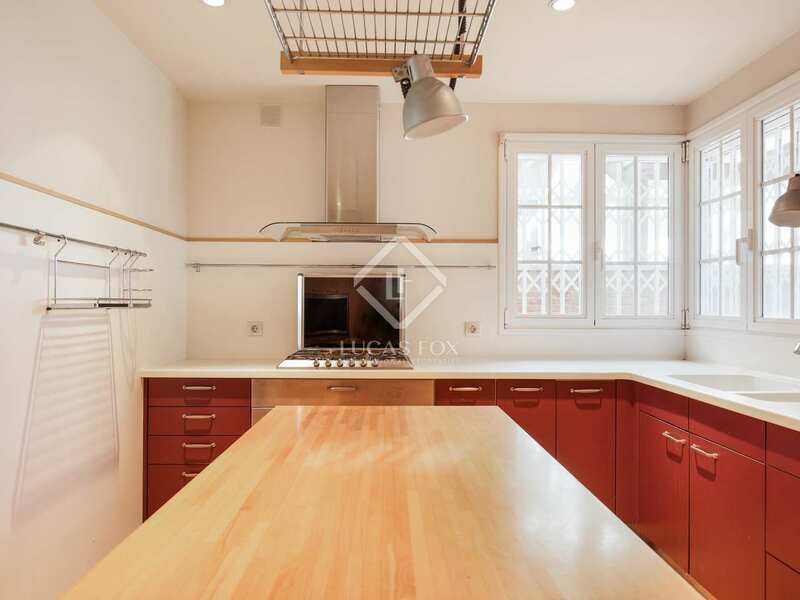 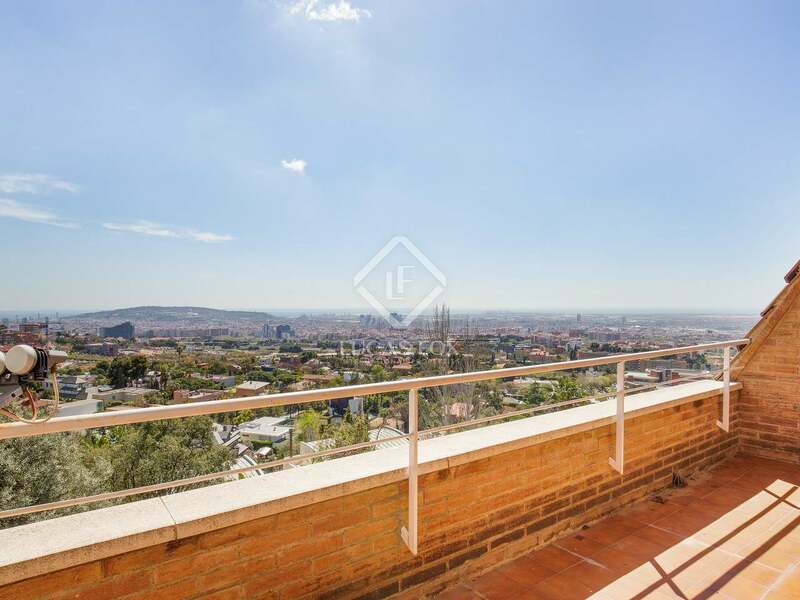 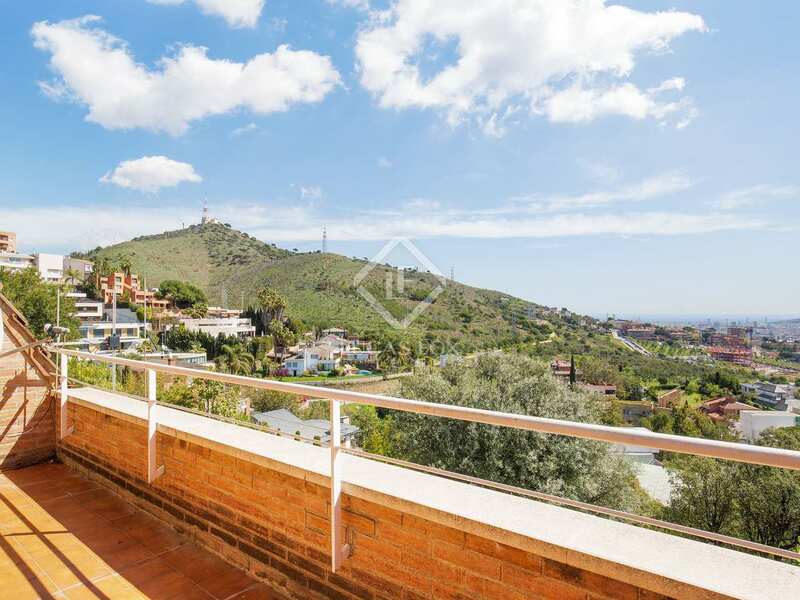 This property is located in Esplugues de Llobregat, in a peaceful residential area with enviable views of Ciudad Diagonal. 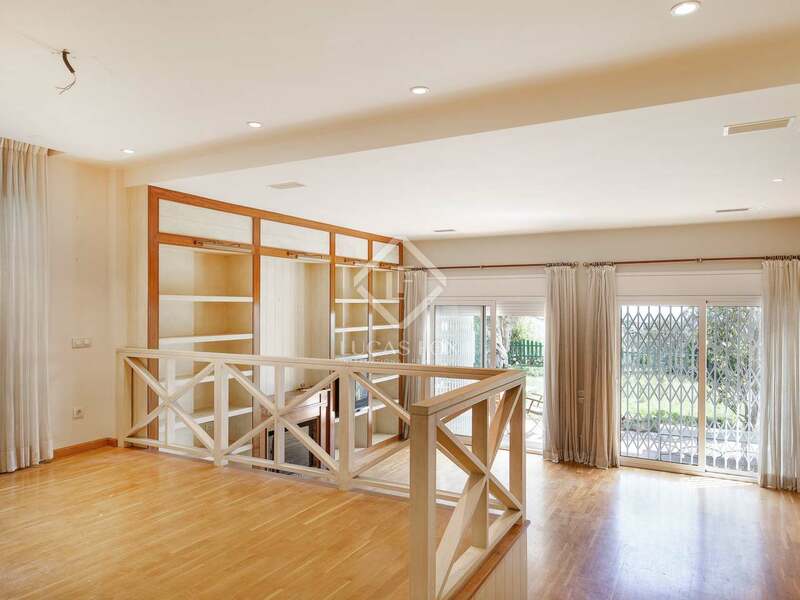 It is close to the American, German, La Miranda and Highlands international schools. 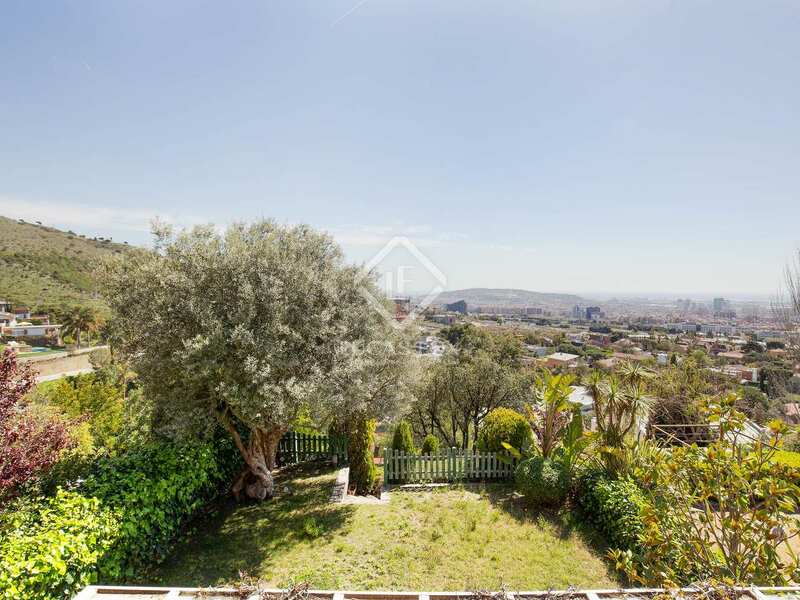 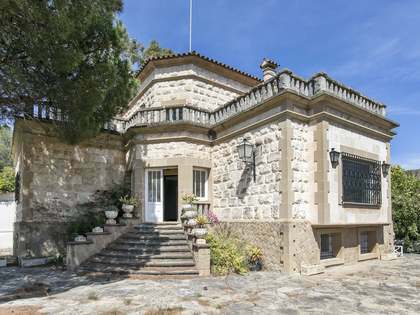 Built in the 1990's and located in a private, well maintained community of neighbours; this villa has 4 floors and a spacious green garden with plants, an olive tree and space to build a pool. 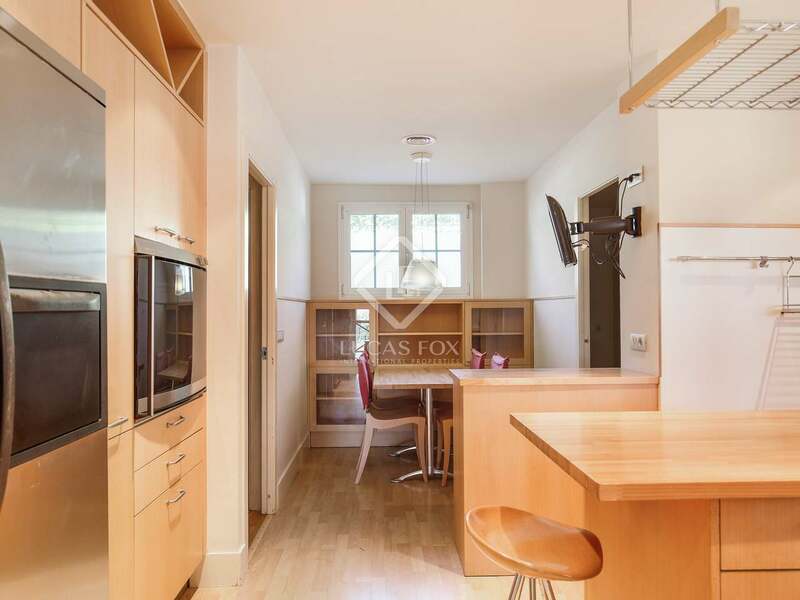 On the main floor, we find the bright, split-level living room - dining room and adjoining kitchen which is fully equipped with high quality appliances, with its service area (bedroom, bathroom, laundry room), plus a bathroom. 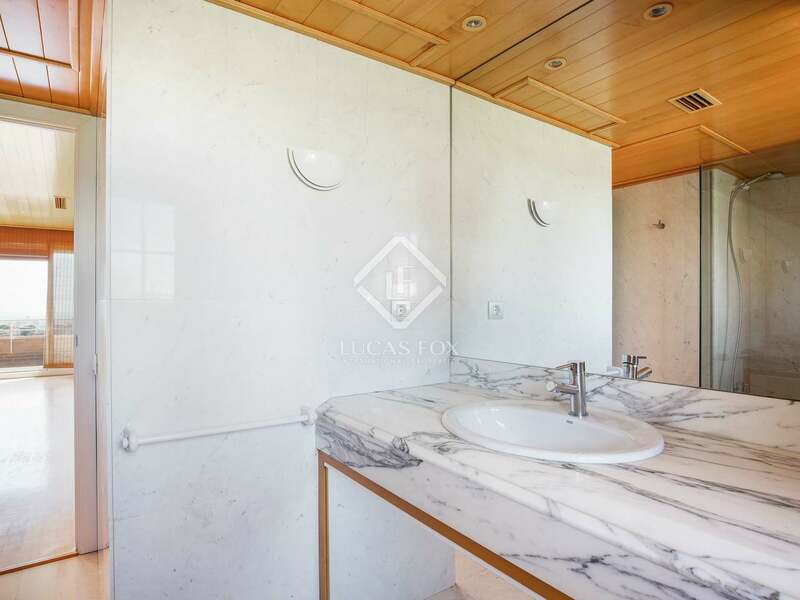 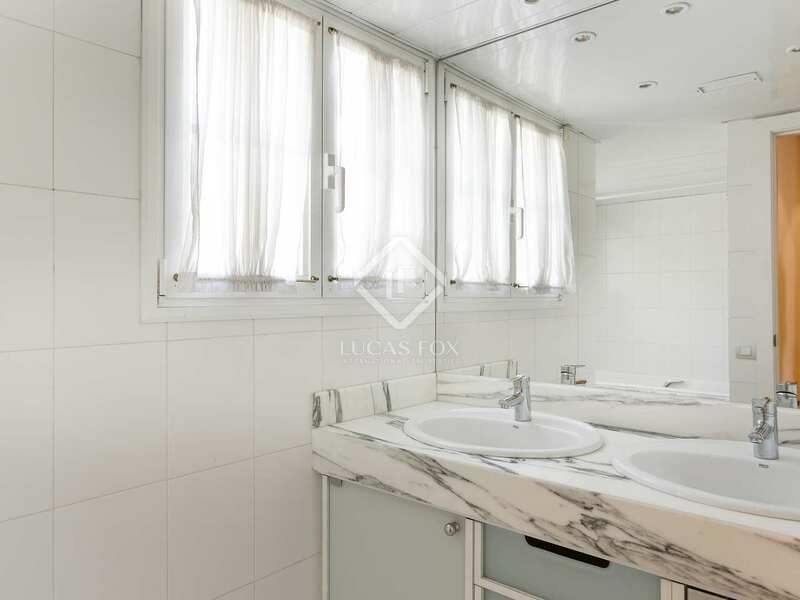 On the first floor we find a master suite with its dressing room, large bedroom, bathroom with a hydromassage bath and access to a terrace overlooking the garden and Ciudad Diagonal. 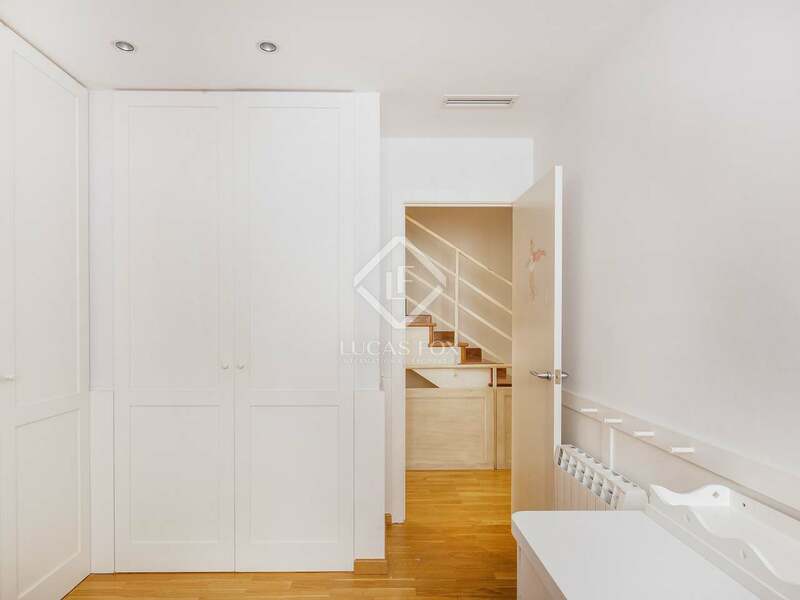 Then there are 2 further spacious double bedrooms equipped with their own wardrobes and that share a bathroom. 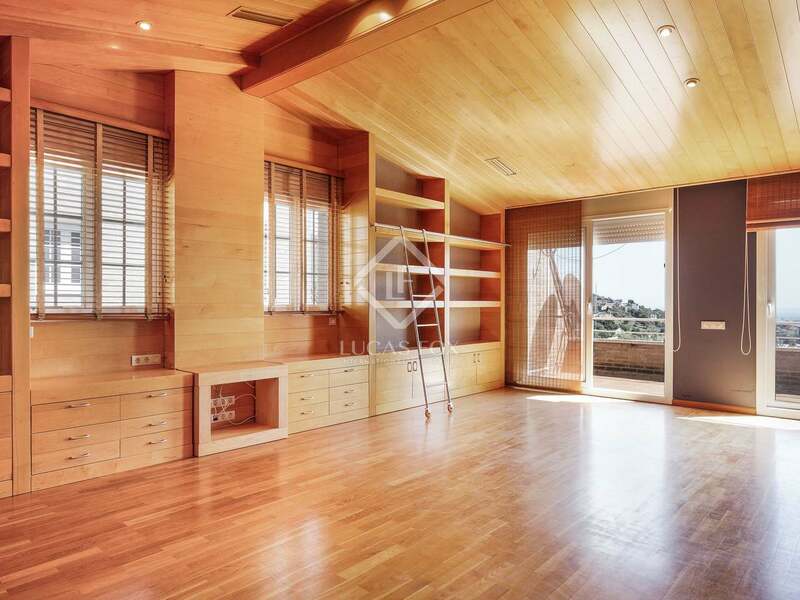 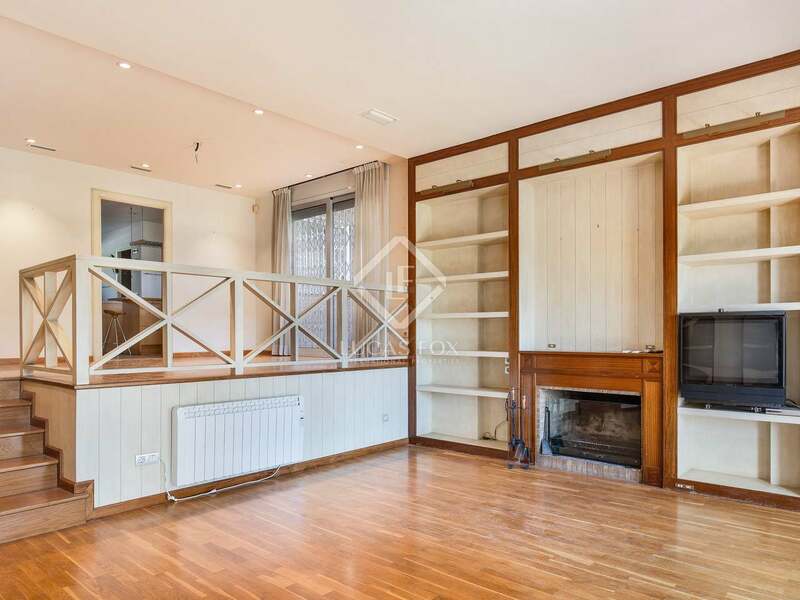 On the second floor we find a wonderful, wood-panelled attic of 70 m² with built-in cupboards and shelves. 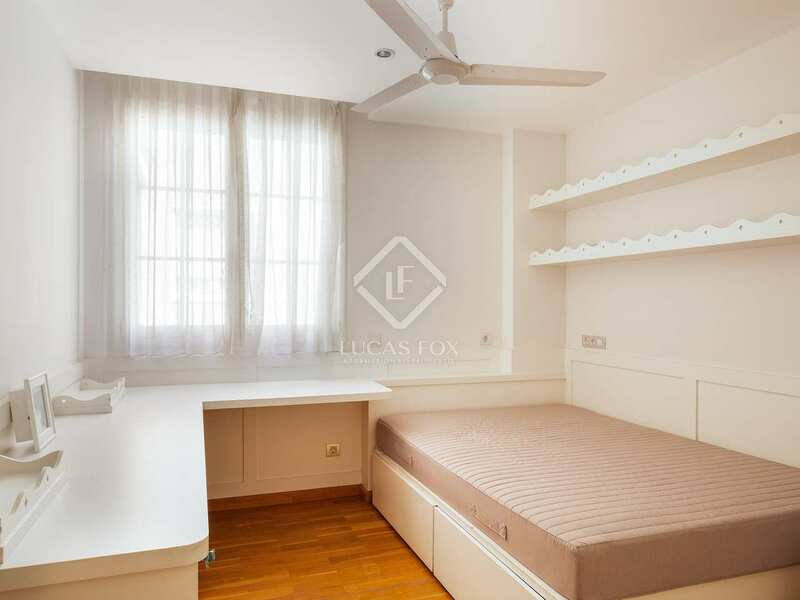 This charming space is used as a study and a guest bedroom with its own bathroom. 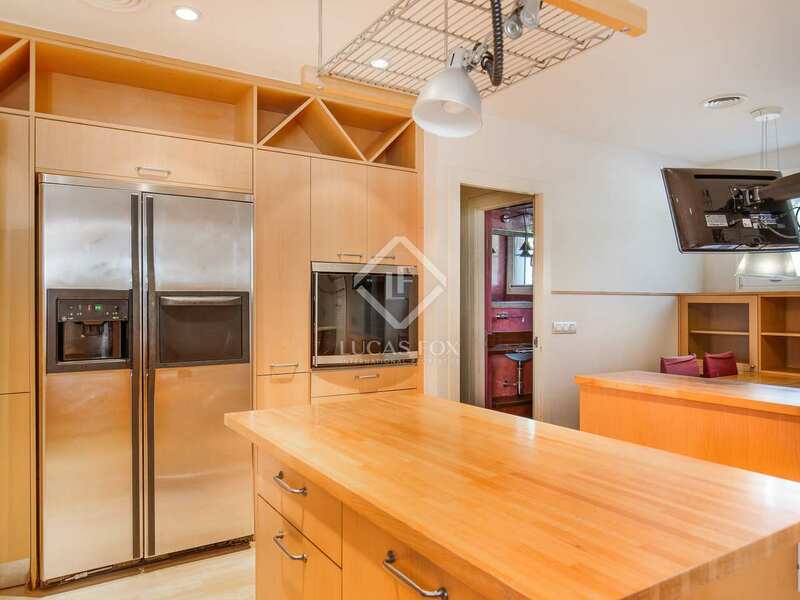 In the basement we have a large garage for 4 cars, 2 small and 2 large, a large cellar / pantry room and another toilet. 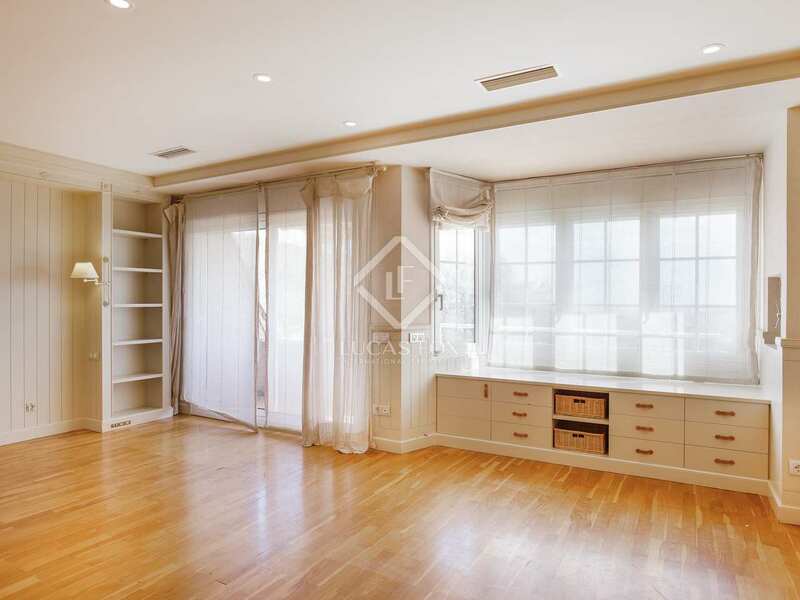 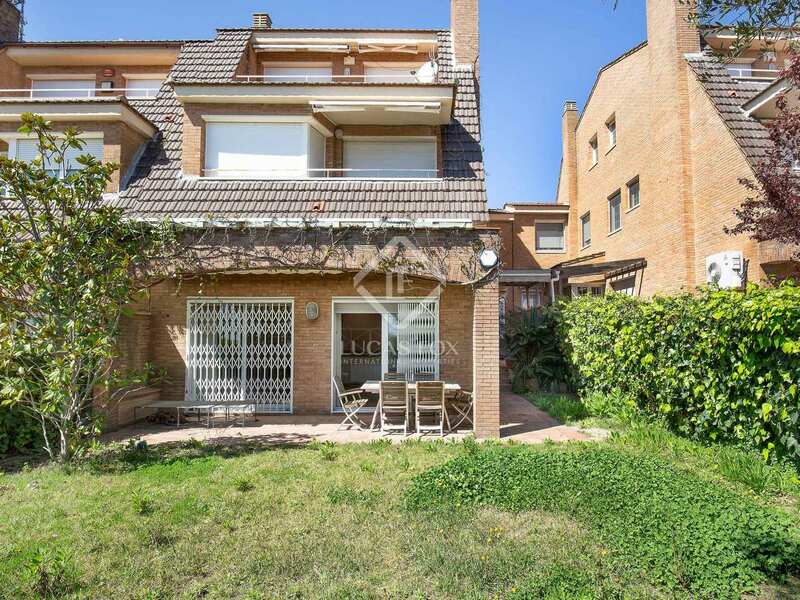 A well-oriented house within a high-end residential community with 24-hour security. 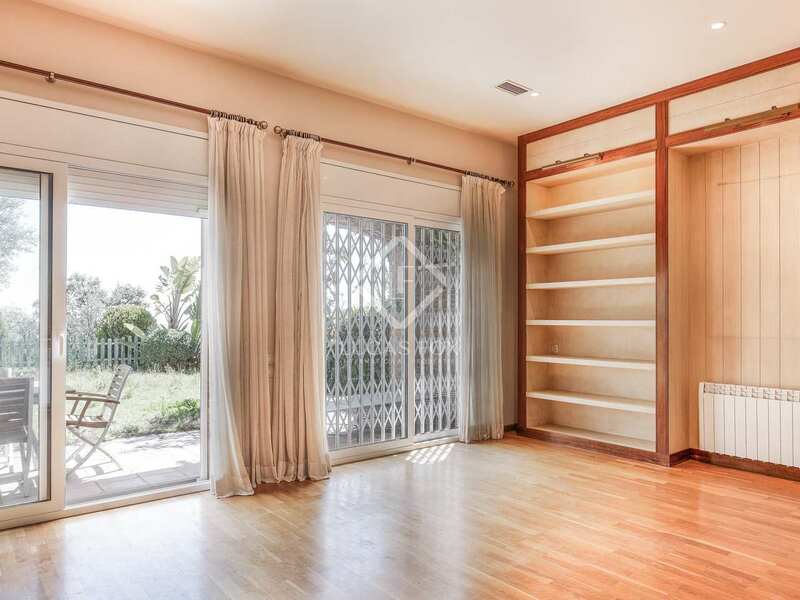 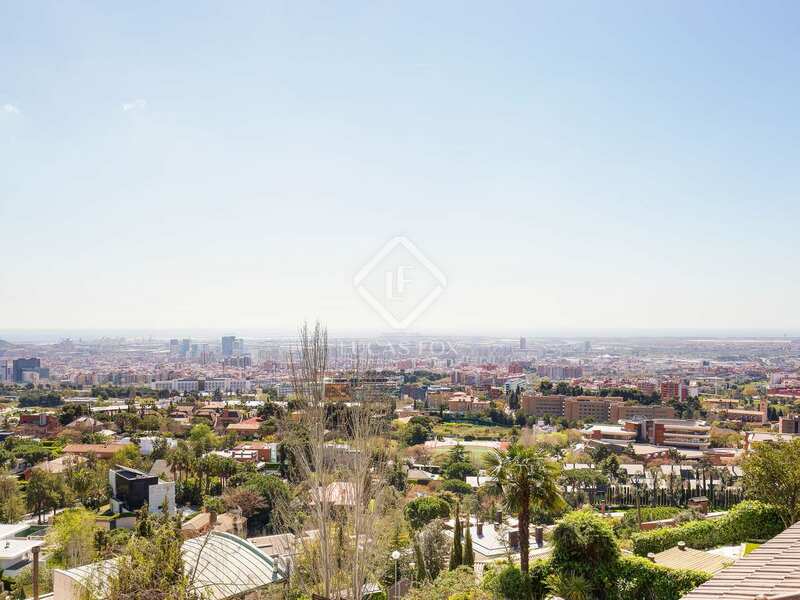 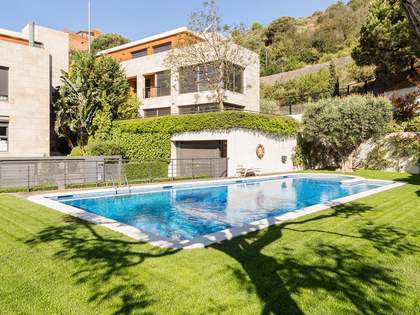 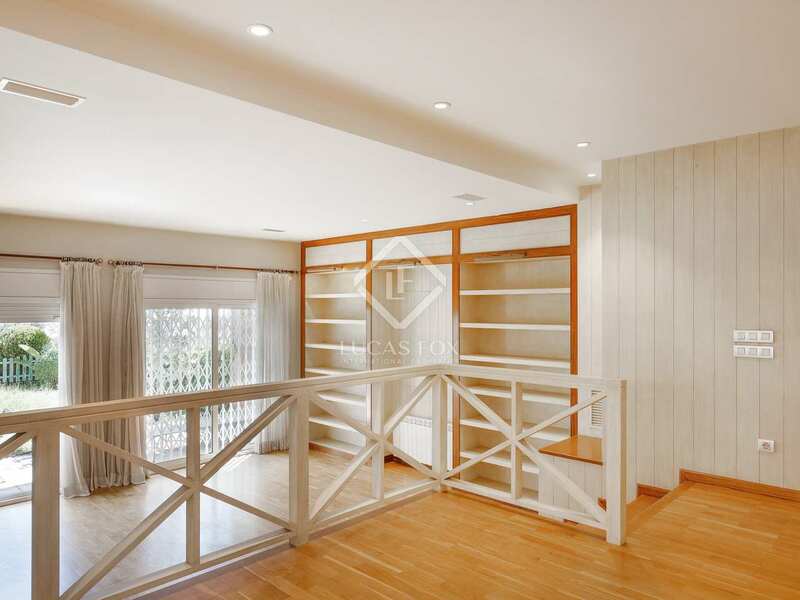 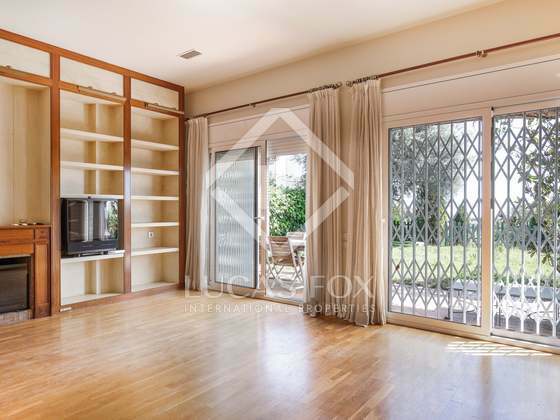 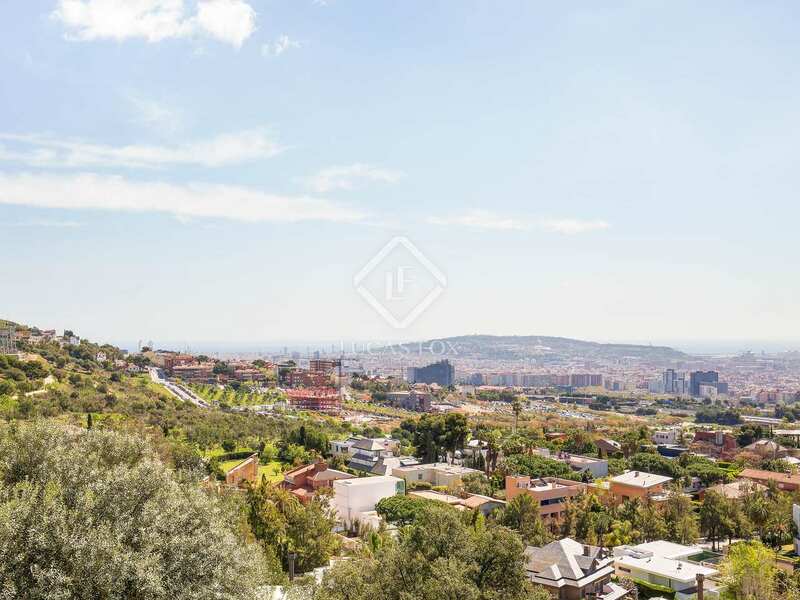 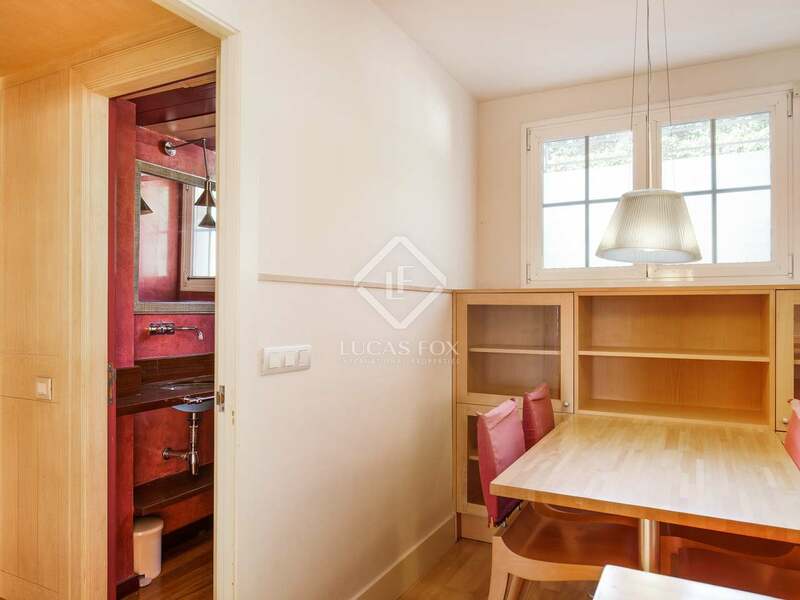 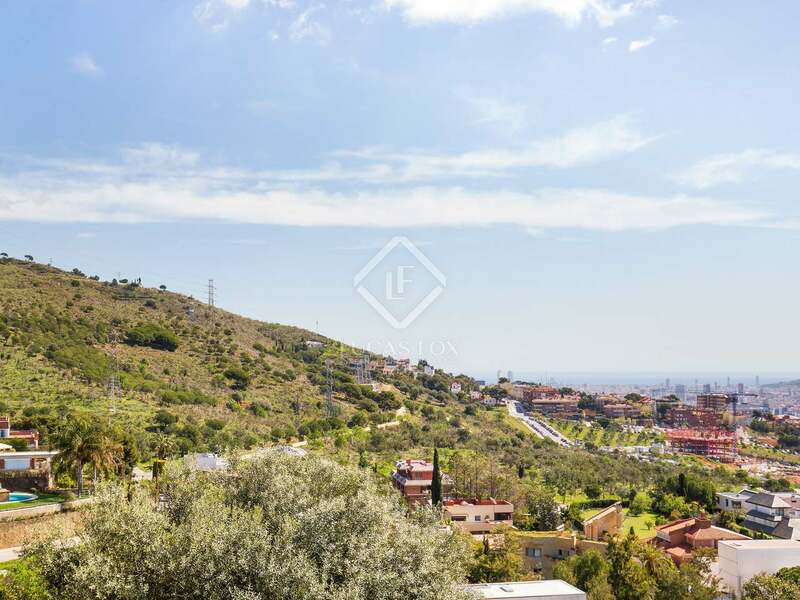 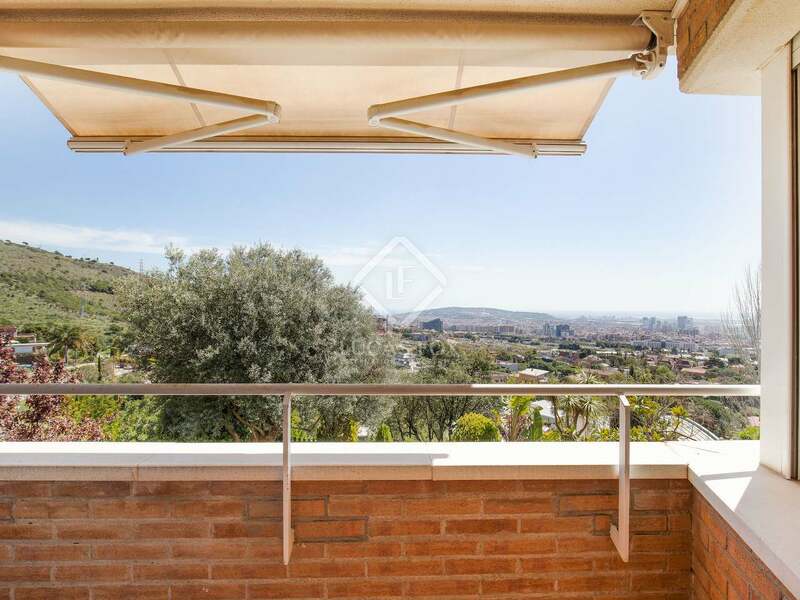 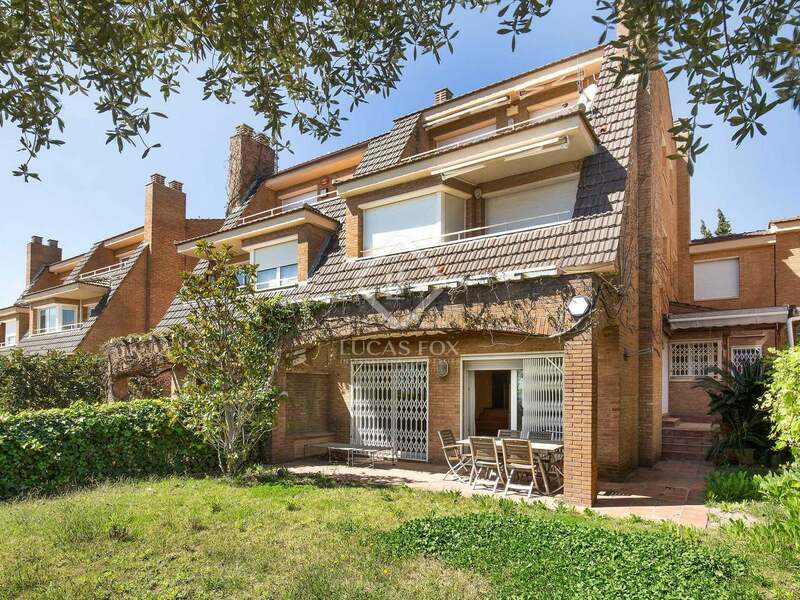 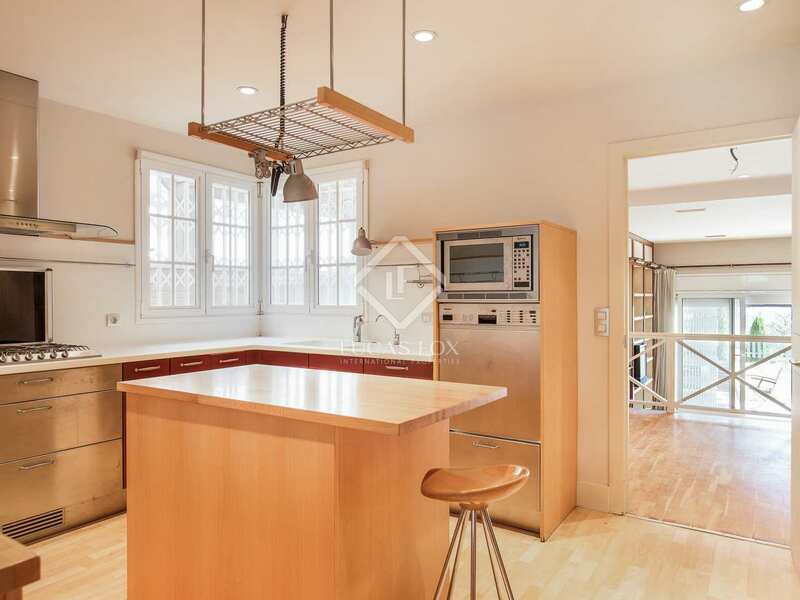 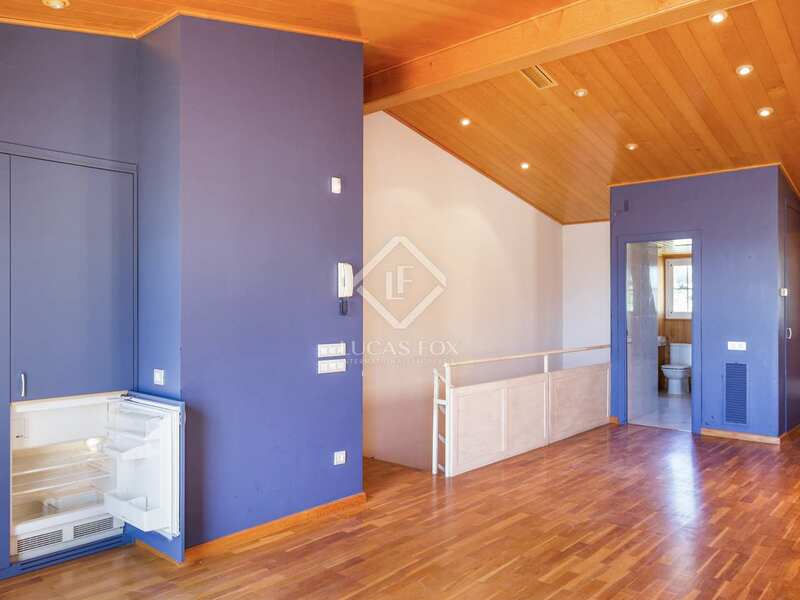 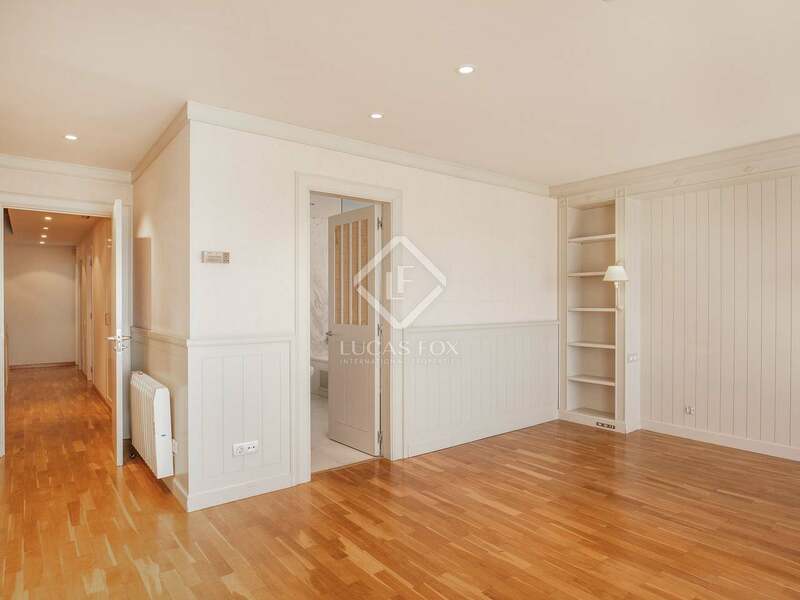 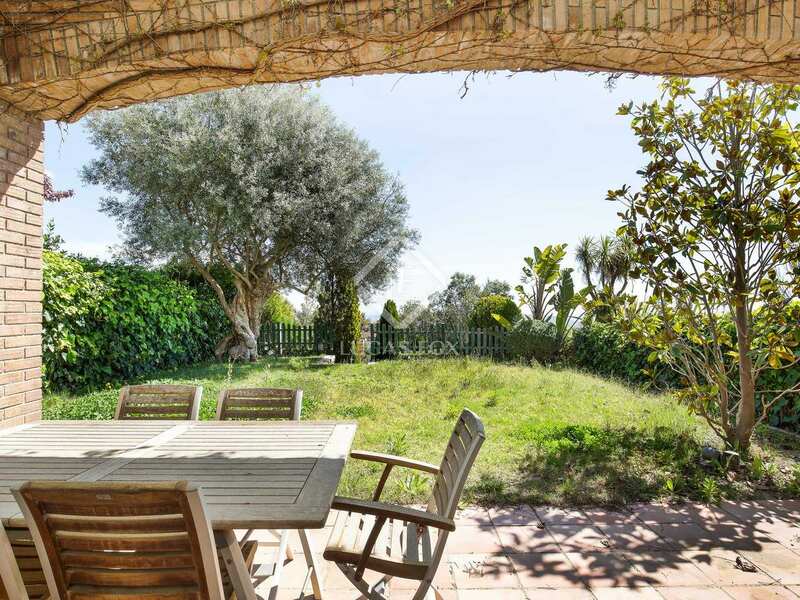 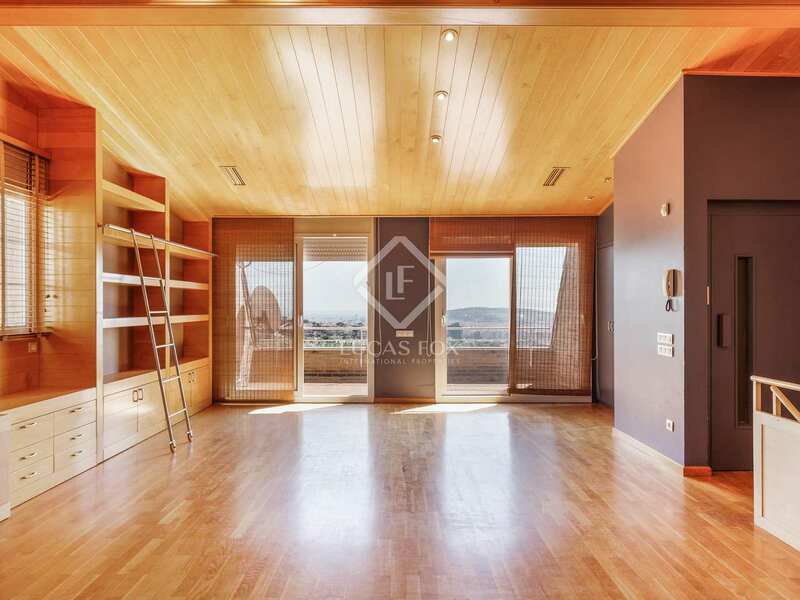 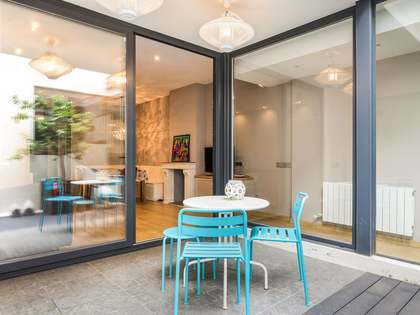 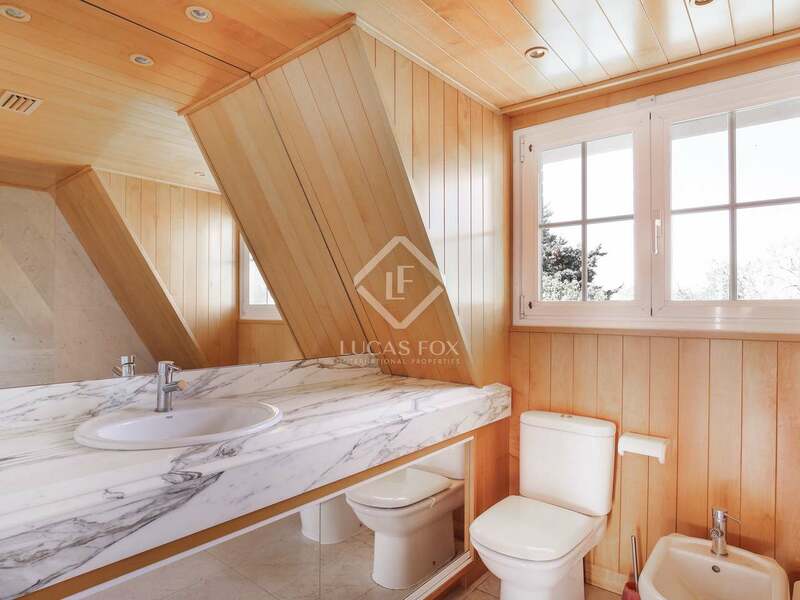 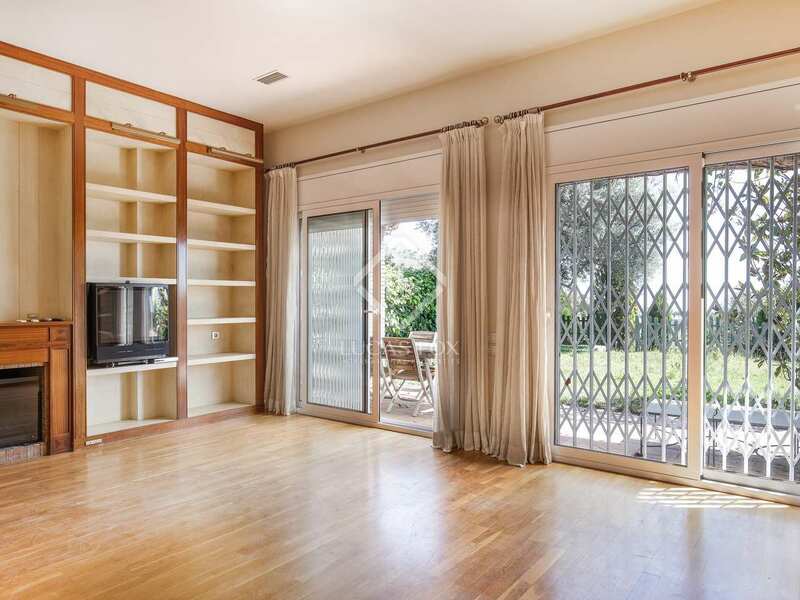 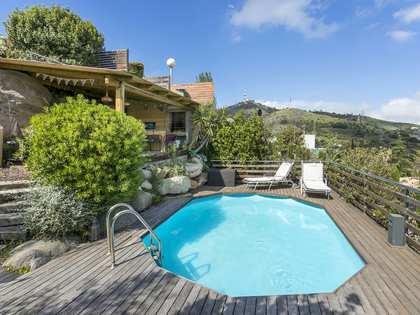 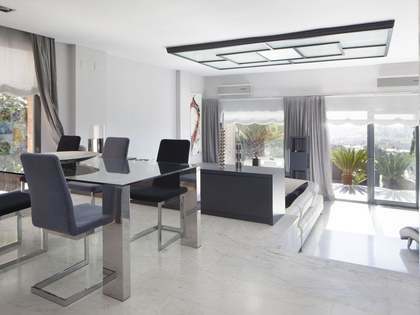 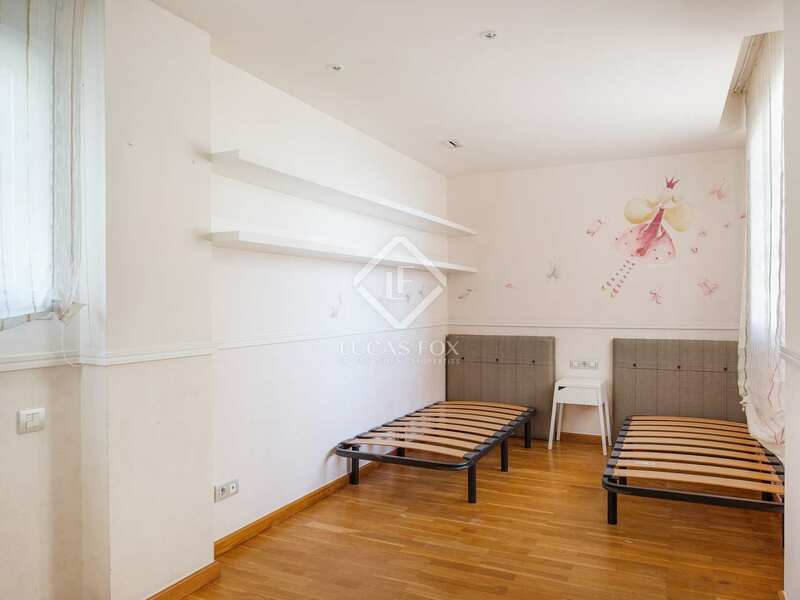 This property is located in Esplugues de Llobregat, in a peaceful residential area with views of Ciudad Diagonal, close to the American, German, La Miranda and Highlands international schools.